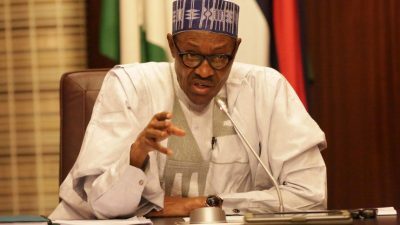 President Muhammadu Buhari has said that a vote for him is a vote for continuity in accountability and transparency in the oncoming 2019 Presidential election. Justin Welby, the Archbishop of Canterbury in England, leader of the Catholic Church in Nigeria, John Onaiyekan and the Sultan of Sokoto, Sa’ad Abubakar we’re also at the meeting on Saturday. The Archbishop of Canterbury delivered the keynote address. Buhari urged the leaders to continue to preach peace and unity, assuring that his government was working relentlessly to resolve all crises. He also promised a seamless election in 2019, and urged all those who lost in the primaries to seek judicial redress or use internal resolution mechanisms of their respective political parties. “I sincerely hope 2019 will move us closer to these goals; and, so I look forward to a peaceful, fair and credible elections come 2019,” Buhari said.